What woman wouldn't love a beautiful screen, designed with her personal style in mind! After seeing this style of card created using stamps and punches, I immediately knew I could recreate something similar in Design Space. 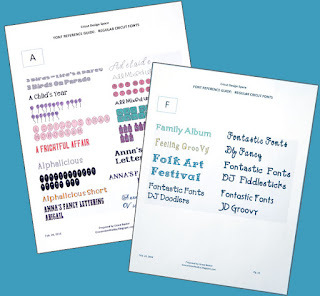 What I love about Cricut's Design Space is the ability to visualize it so clearly and try different shapes before cutting. 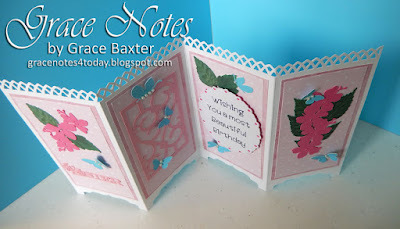 Pick a theme that speaks to your recipient. 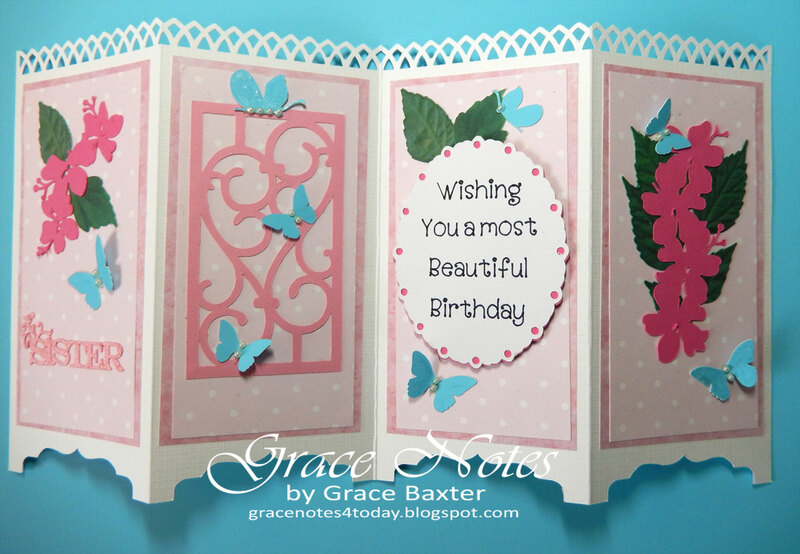 My screen card is for my garden-loving sister, and pink is her favourite colour. 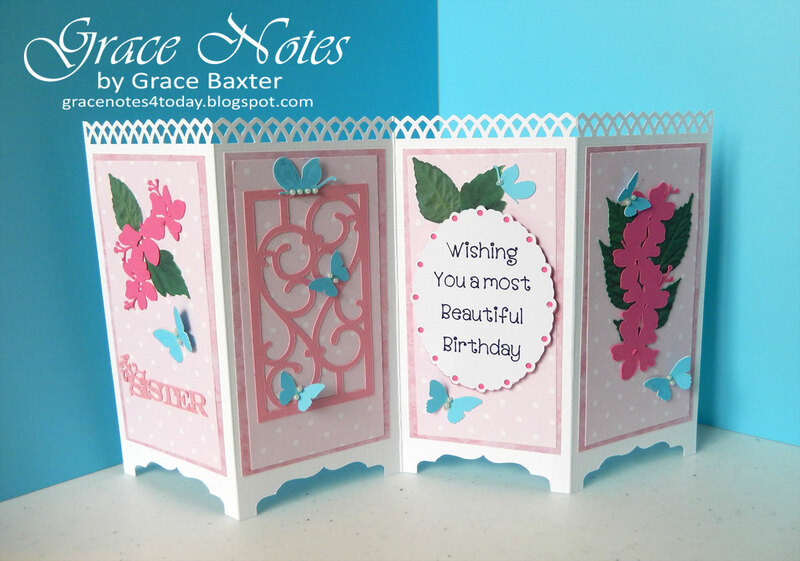 For her card, hibiscus, butterflies and a charming trellis are perfect. Full width of card when open is 11". Height is 5-1/2"
To create the feet, I used one of the many great shapes from Elegant Edges. I played around with a few I liked and went with the fancy square. It's pretty without being too ornate. There were no leaves to go with the flowers on the cartridge. When in doubt, make your own! I searched online for hibiscus plants and found the right leaf. Then I cleaned up the image and uploaded it into Design Space. I love that the leaves are "real" while the flowers are less dimensional. 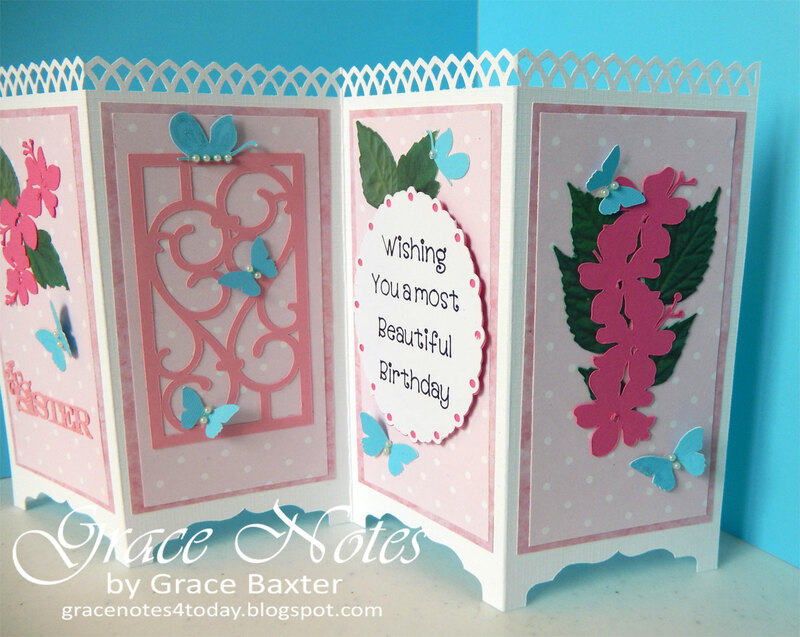 In keeping with the garden theme, I used a lattice punch across the top of the card. Butterflies have a few lines of sparkly shine on their wings. Butterflies also have tiny pearls down their bodies. 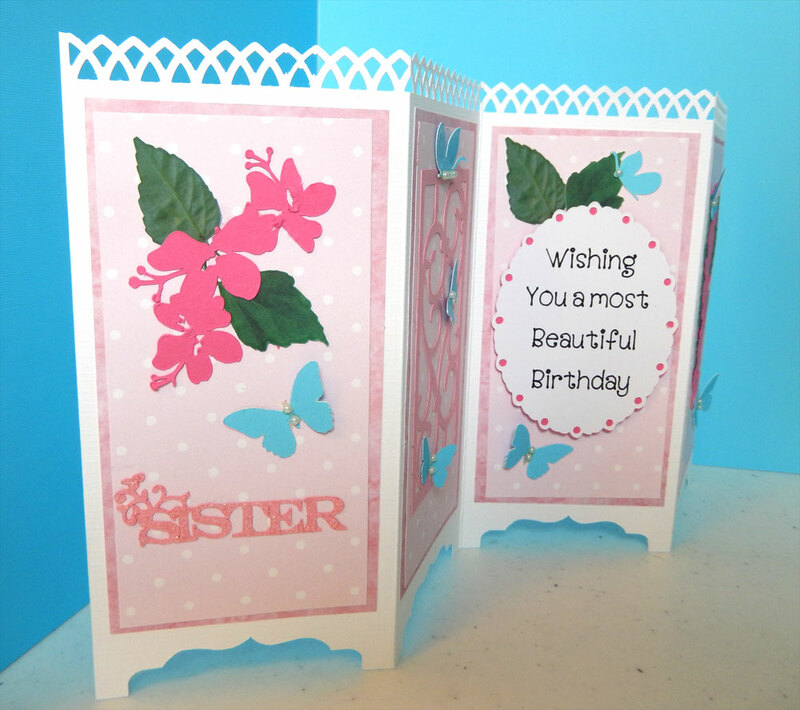 The word "Sister" also has glitter (though the pics don't clearly show that). If you enjoy this card project, please comment and share!